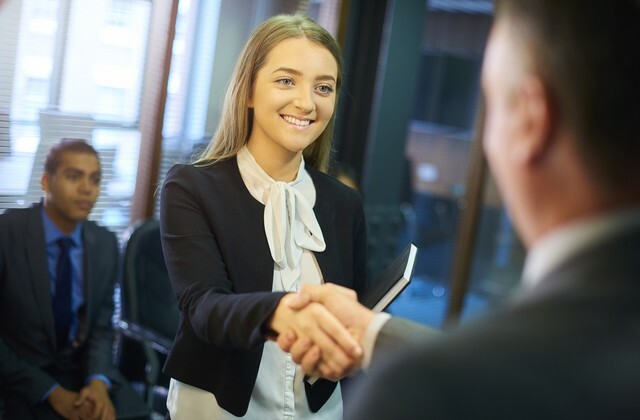 Whether you’re new to the workforce or looking for a new position , one thing is certain; you’ll have to interview for the job in question. To some people, this comes easy. But for others the idea of an interview can feel daunting. The idea of discussing your strengths and weaknesses to a stranger can be stressful, no matter how qualified you are. No matter how anxious you are the interview, there are ways to alleviate this stress. Keep reading to learn about what you can do to feel the confidence you deserve at your next job interview. Your resume may already be close to perfection, but try to modify it to match the job you’re applying for. This will make you seem even more valuable to the potential employer. Whether it is a customer service position or more sales oriented, there are always ways to tailor your resume to fit the job. If you’re starting from scratch on your resume, you can find out more about creating a flawless resume from the Interview Guys. There is also a number of resume building sites you can use free of charge. Nothing looks more unprofessional than interviewing for a job you know nothing about. This is why it is essential to research the job beforehand. You should know the duties and responsibilities that come along with it. It would also be wise to look into the company or employer itself. Read about the values and overall mission and try to incorporate key points into your interview answers. This might not be possible, but do your best to find something in common with the person conducting the interview. If you have children and you see a picture of his/her kids on the desk, make small talk. Don’t let the conversation get off course for too long, just a minute or so. Finding something light to talk about right off the bat can even help to relax you. Bringing a reference letter from a past professor or employer shows that you’ve taken initiative and take the interview seriously. It is always smart to come with a list of references as well, and they might even ask for this before the interview. Showing up in an inappropriate or unclean outfit can make or break your chances. You might not want to admit it, but first impressions are everything. Even if you are the most qualified candidate for the job, arriving in jeans and a T-shirt is a big no-no. Prepare your outfit the night before so that you’re not scrambling the morning of. Within 24 hours of the interview be sure to send a thank you email to the interviewer for his/her time. This does not need to be long or over-the-top, but a brief thank you shows your appreciation. Iit can even be the determining factor if it is down to you and one other candidate.